Marvel Comics' Doctor Strange has one of his Universe's more memorable origin stories: A brilliant but arrogant surgeon, Stephen Strange loses his skills and livelihood when an accident permanently injures his hands. 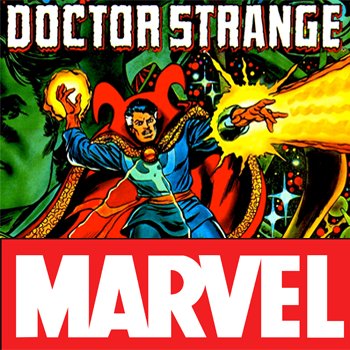 Seeking a magical cure from a Himalayan mystic, he is instead drafted to become The Sorcerer Supreme - a master of magic who protects Earth from demonic forces. But it seems this origin story won't be a part of Marvel's upcoming Doctor Strange movie - or, at least, it won't be the focus of the story. "Marvel's new thing is 'No More Origin Stories,' so Doctor Strange is no longer an origin. It begin in medias res, it's got Doctor Strange already established as the Sorcerer Supreme, and it's a totally new script." While a notably different direction from the debut films of other characters, this approach obviously does not preclude Doctor Strange from revealing his backstory at some point during the main story - as was the case in Blade or the original 1989 Batman. The new script is being written from scratch by Jonathan Spaits and directed by Sinister helmer Scott Derrickson. The character was previously adapted into a low-rated TV movie in 1977 and was almost made in 1992 by Full Moon Features... who lost the rights but made the film anyway as Doctor Mordrid.